Includes a 20-device, 1-Year license. Plus get O&O DiskImage 10.5, worth £32.99 for FREE! 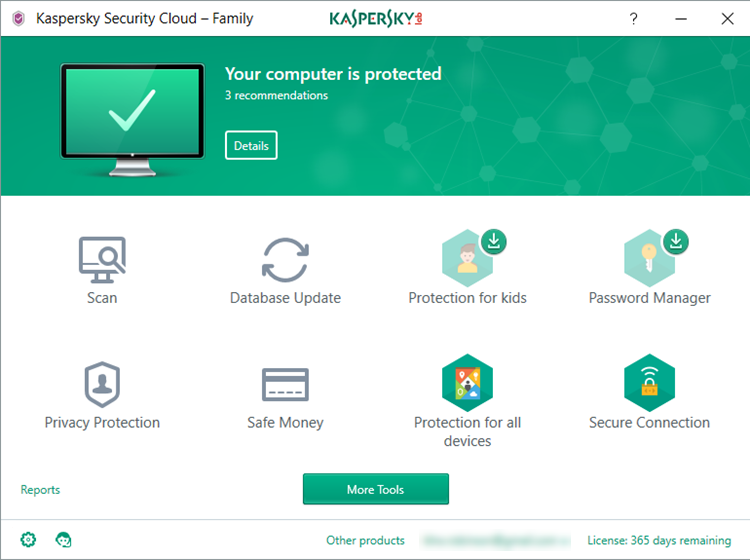 Kaspersky Security Cloud is a brand new suite of malware-hunting, anti-hacker, web safety tools for you, your family and most of your friends too. Effectively Security Cloud is simply Kaspersky Total Security 2019 with even more flexibility. Yes, more. Like Total Security, there's antivirus, browsing protection, a firewall, exploit protection, a vulnerability scanner, parental controls, webcam and audio protection, online transaction protection, and more. You also receive a password manager which synchronises your logins securely in the cloud. When you need to gain access to an account, your login details are accessible by you and you only, meaning you do not need to remember every password you used to access every account you have online. So, what's the difference between Kaspersky Security Cloud and Total Security? The primary difference is the flexibility of the "Family" licence. You are able to add up to 20-devices, but these devices can be owned by anyone you know. You can secure your entire family from your Kaspersky Security Cloud and, if you have devices left over, invite your friends too! Includes a 20-Device, 1-Year licence. 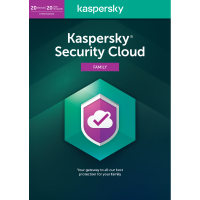 Although Kaspersky Security Cloud - Family includes a 20-device licence, you can also allocate these devices to ANYONE, friend, family or someone you just know! So every member of your family can have their devices secured, plus some of your friends and work colleagues! It's the most flexible licence Kaspersky offers to end users. You receive a single license with Kaspersky Security Cloud - Family. But, this licence is extremely flexible. You can licence up to 20 devices, but anyone can own these devices. So you can secure your entire families devices, plus your friend's, too. It's immensely flexible.